Zoe’s adventures in V-world were far from over. Because Caprica was canceled so early, they were able to wrap it up (kind of) with a quick ending montage that tied the show together with Battlestar Galactica. It wasn’t the most satisfying ending ever, but it was better than the cliffhanger that SGU ended on. And yet the entire second half of the season had been building towards something. Something big, but too indistinct to guess at from what we saw on screen. According to Murphy, Caprica season 2 would have opened with a 5 year time skip, jumping ahead to the point where the humans and Cylons were on the edge of the First Cylon War. The season would progress from there, filling in the gap with flashbacks that reveal how things transformed from this early introductory state that the Cylons were in to being capable of waging war. To quote the man directly, “getting away from the navel-gazing religious theory of bloated Caprica at peace and into high-stakes conflict of a system on the brink of war was the other big goal.” What would this mean for our characters? She would have had an encounter with one of the final five Cylons from BSG, specifically Tyrol. The explanation for this (proposed by Michael Taylor) was that the final five would have their own V-Worlds to exist in while undertaking the long journey to the 12 Colonies. As the ships approach, Zoe’s jumps from V-World network to network eventually lead her out to the barely-in-range Cylon ship, where they have a discussion about who she is and how she ended up there. A sympathetic Tyrol would then hand her a virtual item, which, when examined, would reveal the secret to constructing a proper humanoid body like theirs. Murphy was specific in stating that her body wouldn’t be anywhere near as advanced as those of the Number Cylon models, so she’d have to be careful to hide her true nature. From a production point of view, the main purpose of this would be to enable Alessandra Torressani to actually be present as herself in scenes. Having Zoe confined to the expensive New Cap City shoots and the bulky CGI Cylon body really hampered her ability to interact with the other actors, and given that Syfy had chosen to make her the face of the advertising campaign, having so little of her actually in the show had become a problem. This would have tied everything up pretty nicely in Caprica Season 2, while bringing the story closer to BSG. Zoe would eventually come to hate her Cylon nature and join the Caprican Legionnaires, sent on missions by Jordan Duram to fight the growing monotheist Cylon movement. As tensions flare, she’d find herself on the human side. The brief glimpse we get of the real Bill Adama in the finale. 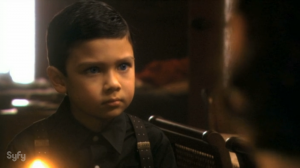 The five year gap would also have seen the real William Adama grown to a young boy–one who’s not particularly happy about being a living reminder of his parents’ loss. 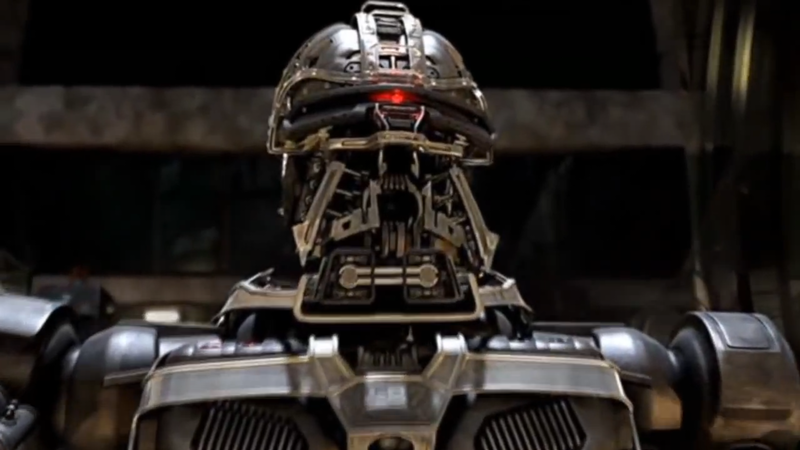 Cylons would have been welcomed into Caprican society with open arms after their actions at the Atlas Arena incident in the finale–but as they become more and more commonplace, and start taking on other roles aside from just defense, it becomes clear that these aren’t the simple machines that Daniel Graystone promised everyone they were. 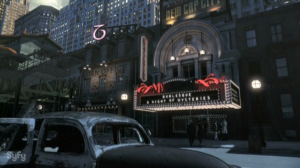 The other worlds wouldn’t necessarily have been so open, however, and this is likely where the conflict at the center of Caprica Season 2 begins. Clarice, still alive but now exiled from Caprica, travels the other worlds and acts as a Cylon rights advocate, converting a great many of them to monotheism by teaching that they are as much “God’s children” as humans are (as we see in the brief clip at the end of the last episode). With frictions heating up, that’s not a good thing. Since the Cylons are still so loyal to Lacy due to Zoe’s influence, she ends up associated with this, too, and after calming things down on Gemenon and supplanting the Blessed Mother, Lacy and Clarice would have to form a temporary alliance (in the form of, weirdly enough, a marriage. Don’t ask me to explain that one because I can’t make sense of it). On the opposite side, the former Blessed Mother, wanting to retake her position, might have ended up allying herself with Daniel Graystone to try to stop this robot uprising before it gets started. Ultimately, Zoe would have become the basis for the Sixes, and Tamara would be the basis for the Eights. How? Not physically, obviously; and it does kind of line up with their personalities (in a very, very general sense), but there’s no real info on how that would have come to be. If you want my guess, it’d have to emerge from Zoe’s interaction with Tyrol. Speaking of Sixes, they did plan on having Head Six or Head Baltar show up at some point, even as early as season 1, but Tricia Helfer’s schedule was incompatible and so she wasn’t able to appear. It’s possible that she’d have appeared in Caprica season 2, but it’d have to make sense with the other plans. New Cap City just has a very cool atmosphere to it. So that’s pretty much everything we know about Caprica’s second season plans. I always had rather mixed feelings about it while it was on the air; I didn’t find many of the characters particularly likable, and only about half the ongoing plots were interesting, but I absolutely loved the V-World stuff, particularly New Cap City, and the ideas surrounding Zoe and Tamara as reconstructions of the dead and their connections to the Cylons really were fantastic. It’s just that I had to wait for all the other boring stuff to get out of the way, and that took way too long. Kevin Murphy took over as showrunner after the first 10 or so episodes had already been written, so he rewrote them and tweaked them as much as was realistic, then decided from there to aim for more of the BSG-related material that fans wanted. You know, have Caprica actually do what a prequel is supposed to do. But the show was canceled after returning with little fanfare from a long hiatus, around episode 14, so it never got very far into Murphy’s adjusted episodes. I apologize that I couldn’t fill this in with as many sources as I usually do; the main interview with Murphy where a lot of this info is revealed was on the Caprica Times fan site, which is now defunct. I located a mirror through the wayback machine, which you can read on your own, if you’d like, but I chose not to link it extensively so as to avoid burdening their servers. If you enjoyed this and want to know when the next show comes up, you can subscribe to the “What Could Have Been” RSS Feed here. You can also give the first season a rewatch with these ideas in mind by checking out Caprica on Amazon or Netflix.